Exploring America through Minor League Baseball is a big part of my job. As a result, I've become accustomed to fielding the following question on a regular basis: "What's your favorite ballpark?" 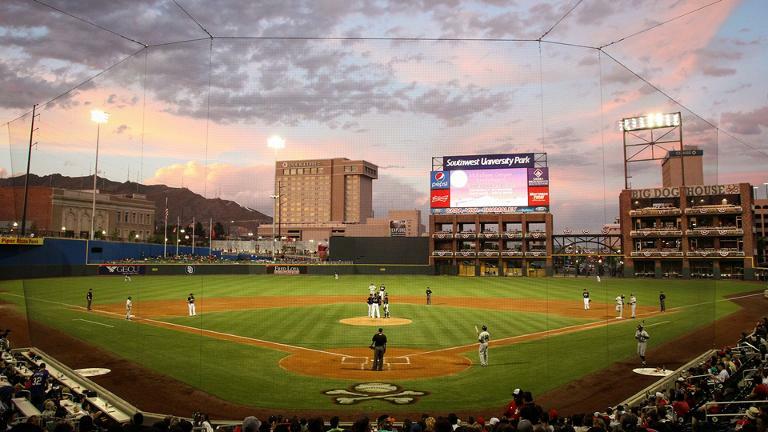 Exploring America Through Minor League Baseball. Follow Ben's adventures through MiLB as he visits ballparks, tastes unique food and meets the people who make the game go. Ben has celiac disease. At every ballpark he visits, he recruits a designated eater to consume the stadium cuisine his glluten-free diet prohbits. Take a look back through his travels in the Minors and learn about the delicious, the spicy, the sweet and the bizarre ballpark snacks and the brave fans who volunteered to consume them on Ben's behalf. #BenEverywhere. MiLB.com's Benjamin Hill has visited all 159 active Minor League ballparks. Take a look back through his visits to each one. Each week, Ben joins Show Before the Show hosts Sam Dykstra and Tyler Maun for his "Ben's Banter" segment. He talks about his recent work -- covering everything from road trips to rebrandings -- and occasionally interviews guests of his own. No matter the topic, the banter is always informative and lively. Ben Hill takes a look at the ways teams around Minor League Baseball are celebrating significant anniversaries, from themed logos to ballpark events. For the Charleston RiverDogs' NBA Draft Night promo on April 13, the team wore inside-out jerseys while staff helped hundreds of fans declare themselves draft eligible. Ben "Ben's Biz" Hill has visited 174 Minor League parks. His first trip of 2019 brings him to Fayetteville's new stadium as well as Richmond and Lynchburg.